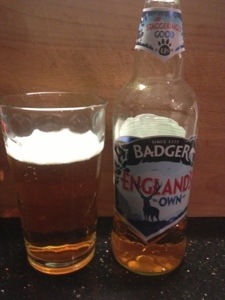 I am quite fond of badger ales I must admit but I’ll try not to be too biased. 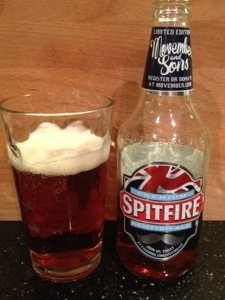 This beer has the look of lager, pale amber in colour and quite substantial fizz. Not a massive head though. It smells just pretty normal if I’m honest and I thought the bottle neck label’s quote of ‘staggeringly great’ might be pushing it a bit! However, the taste is great. Totally unexpected flavours from my childhood. Can’t quite put a name to it until I read the bottle. ‘Elderflower?’. I’ve not had any elderflower for a many a year. It’s extremely pleasant and crisp, but apart from the aforementioned elderflower, I can’t get much else. Nice beer. 4.6% in a 500ml bottle. It’s really rather refreshing. The more I drink the more I like. ‘Brewed on a full moon’ is the tag line. 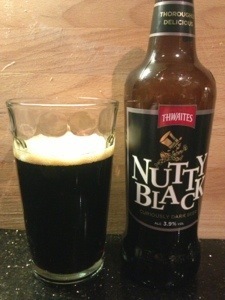 Nice and dark (but not stout-like) with a slight head, 6.6%. Upon opening, I was attacked by fruity scents. Alas they seem to be missing in the taste. 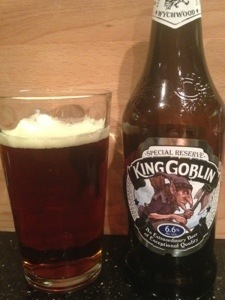 It’s quite bitter, malty and yet sweet (much like the other Wychwood beers). It’s not got the phenomenal tastes of other ‘reserve’ beers and makes me feel a little cheated to be fair. 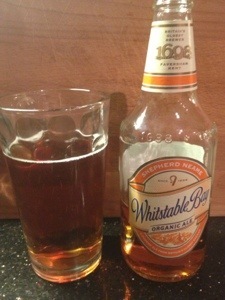 Although there is quite a nice aftertaste. Not sure I can pin point it though. Went and got this on recommendation from the Omskirk Baron, that and it’s Halloween. Anyway, £1.50 from the wychwood brewery shop. Not bad price, 500ml an 4.2%. 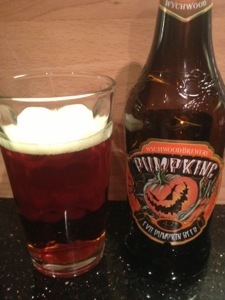 I was expecting a load of pumpkin flavours but I didn’t get much at all. But I do get some burnt sugar, caramel. Tastes a little spicey. Almost Christmassy. Fruity and a very slightly hoppy. Would definitely drink this again. Especially that price.